Be sure to leave links to your #FF below so I can visit and follow your blogs! Happy Friday! I'm going to be saying this a lot this week but different strokes for different folks. You see I actually LOVED Hunger Games but wasn't totally blown away my Divergent. I thought it was good but I just didn't go bananas over it. I do find that that's sometimes the case- thanks for stopping by and leaving a comment! That's so cool- glad to hear someone agrees with me =D Happy Friday! I never read them, so you're a step ahead of me although I did choose this as well! Thank-you so much for stopping by! Happy Friday! The Hunger Games certainly aren't for everyone. Its okay to say it wasn't for you. Its certainly is very harsh and brutal world. I don't even I didn't like it because of the violence- it was mostly because of the poorly developed characters. Thanks for stopping by and following! I really appreciate it!! Oh no! why? I L.O.V.E The Hunger Games! Well, certain things doesn't perfectly fit everyone's tastes. LOL, I know, it's difficult seeing people hating on series you love ! Thank-you so much for leaving a comment and following! Happy Friday! I've never even read The Hunger Games. Not because I think it isn't good, but because I just don't care for dystopian society books. I probably never will read the series. lol. this is almost as shocking as the comment above me (someone never reading Hunger Games). the 3rd book wasn't my favorite but i still enjoyed the series! 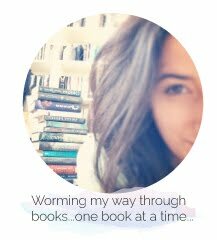 LOL, books are really personal in that way- you either love it or you don't. Thanks for stopping by! That might have been my issue to- I think all the hype made me have really high expectations. Be sure to let me know how you like Catching Fire! Happy Friday! I haven't even read The Hunger Games but from what I've heard I know that I don't want too. A book that was more hype than what it was worth in my opinion was Meg Cabot's Overbite. Which is hard for me to say because i loooooovveeee Meg Cabot lol. You're absolutely right! I read the Hunger Games, and I remember not being super impressed with it. Love hearing that I'm not alone on that one :P Happy Friday! Oh, I read and enjoyed the Hunger Games a lot... but I totally hear you... I mean... HELLO... Battle Royale, anyone?! If you've ever read Battle Royale, it's really hard to figure out why everyone thought The Hunger Games was so original and amazing!!! I actually liked The Hunger Games a lot, but I know where you're coming from :) The hype had me expecting something completely mind-blowing but what I got didn't really hit that sort of high for me. There was just to many things I didn't enjoy in the series for me to say it was that great. Happy Weekend! I'm actually not going to judge you on this because I started and stopped this book twice before I was able to finish it. And sometimes I only think I finished it because the movie was coming out lol In the end I did like it alot tho. I liked it! It was my first dystopian and left an unforgettable impression. A third book however was an ultimate let-down. The third book was definitely the worst- first one was probably my favourite of the three because the second one felt like a repeat :P Happy Sunday! i liked hunger games though. Glad that you liked it better than I did- I really wish I could have loved it :P Thanks for stopping by !! 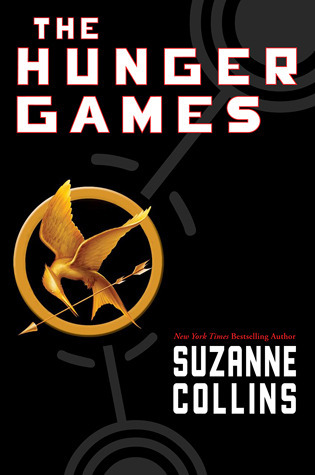 I've never read any of the Hunger Games novels, and I have no wish to primarily because of all the hype. New Follower to your blog. I understand- sometimes too much hype can make a book unappealing!